Photo: Roberto Maxwell. Creative Commons BY-NC-SA 2.0 (cropped). Thus, to sustain harmonious human-nature relationships, human involvement in conserving nature must continue to be through appropriate use — a key to developing sustainable societies. This is particularly important in areas where humans directly interact with nature to produce food, timber, fuels and other goods and services necessary for their livelihoods. While economic viability provides strong incentives for humans to maintain their land, research has now shown that ecological resilience, cultural values and spirituality play equally crucial roles in sustaining livelihoods and well-being in rural communities. That is precisely why the United Nations University Institute for the Advanced Study of Sustainability (UNU-IAS) is working on two initiatives that aim to understand the importance of harmonious human-nature relationships. The Globally Important Agricultural Heritage Systems (GIAHS) Partnership Initiative was launched by the Food and Agriculture Organization of the United Nations (FAO) at the World Summit on Sustainable Development held in Johannesburg in 2002. UNU is a founding partner of the GIAHS Initiative, working closely with FAO to promote the GIAHS concept. UNU has provided technical advice on GIAHS designation and conservation to many countries in Asia and Africa. 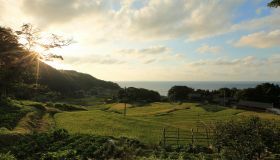 The “Agri-cultural Systems” research project (conducted from 2012 to 2015), which developed the assessment methods for agricultural heritage systems conservation in Japan, was one example of UNU’s work in this domain. GIAHS are defined by FAO as “remarkable land use systems and landscapes which are rich in globally significant biological diversity evolving from the co-adaptation of a community with its environment and its needs and aspirations for sustainable development”. FAO recognises that social and cultural aspects embedded in agriculture — hence “agri-culture” — are key components to the sustainability of agriculture itself. Recent advances in agricultural technology and farming methods have undeniably yielded remarkable productivity. However, the GIAHS initiative recognises the multitude of benefits brought by traditional agri-cultural systems that have evolved over centuries of ancestral effort and indigenous knowledge. Not only do such systems create outstanding farming landscapes, conserve globally significant agricultural biodiversity and sustain resilient ecosystems, but, above all, they can contribute to the sustained provision of multiple goods and services, and boost food and livelihood security for millions of poor and small farmers. The need to redraw attention to these indigenous agri-cultural systems, as well as to encourage rural communities to re-examine the value of their own heritage and re-ignite their sense of pride, is what brought about the GIAHS concept. Through the designation of GIAHS sites, the initiative aims to enhance the global, national and local benefits derived through their dynamic conservation and adaptive management, as well as to ensure that these invaluable agri-cultural systems will be passed down to future generations. To date, 36 GIAHS sites have been designated worldwide and have vigorously promoted the understanding and conservation of traditional agricultural systems. For instance, UNU’s Operating Unit Ishikawa/Kanazawa actively engages local people in Ishikawa Prefecture, Japan, in re-examining the value of their GIAHS site — “Noto’s Satoyama and Satoumi”. The designation of this site recognised the sustainable way of life developed there through the practice of traditional farming that was fostered by the local communities’ strong social bonds and cultural identity. In contrast to the GIAHS Initiative having been launched to conserve traditional agriculture and its related indigenous knowledge, the Satoyama Initiative was established in the context of biodiversity and environmental conservation in Japan by UNU-IAS together with Japan’s Ministry of the Environment. Researchers have found that unique and diverse habitats for various species have been created through traditional agricultural practices and natural resource management in the traditional agricultural landscape called satoyama — a term derived from the Japanese words for village (sato) and forest (yama). This led to increased understanding that not only can overexploitation negatively affect biodiversity, but, in landscapes accustomed to human interaction, reduced human activities can too. In the Japan Satoyama Satoumi Assessment, implemented from 2006 to 2010, a more holistic view was given to satoyama landscapes by applying the framework of the Millennium Ecosystem Assessment. Four ecosystem services were identified; that is, the nature contained in these landscapes was found to have provisioning, regulating, and cultural benefits to humans as well as supporting services necessary for the production of all other ecosystem services. This multi-functionality was recognised as a critical feature of satoyama landscapes together with the fact that they are a mosaic of ecosystems comprising woodlands, farmlands, settlements, and irrigation ponds and canals which were once strongly connected to each other through agricultural land use systems. 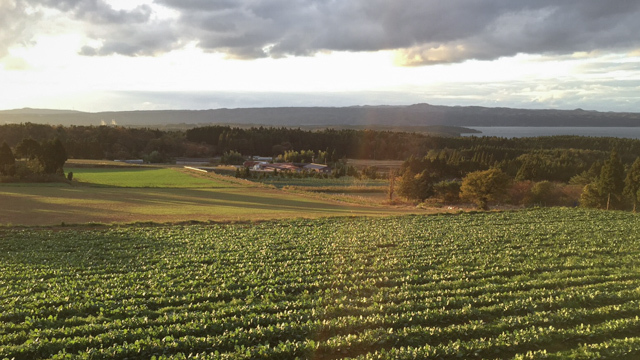 Recognising that similar agri-cultural landscapes face similar challenges around the world, the Satoyama Initiative has expanded globally through the International Partnership for the Satoyama Initiative (IPSI). IPSI was launched in 2010 during the Tenth Meeting of the Conference of the Parties to the Convention on Biological Diversity (COP 10) to enhance the understanding of the importance of such landscapes for both humans and nature and to promote the sustainable management of such areas around the world. UNU-IAS has since been serving as the IPSI Secretariat, supporting partnership development for the 184 IPSI members and, as an IPSI member organisation, engaging in a number of activities including analysis of the case studies on members’ activities, indicators of resilience, and rural revitalisation in disaster-affected areas in Japan’s Tohoku region. The term socio-ecological production landscapes and seascapes (SEPLS) is derived from the discussion in the Japan Satoyama Satoumi Assessment and refers to “dynamic mosaics of habitats and land and sea uses where the harmonious interaction between people and nature maintains biodiversity while providing humans with goods and services needed for their livelihoods, survival and well-being in a sustainable manner”. The term explicitly highlights the importance of ecological, economic (agricultural production or livelihood creation) and social (culture, traditional knowledge, land tenure, etc.) aspects of maintaining biodiversity and ecosystems services of SEPLS. Yet, despite their different conceptual backgrounds, both the GIAHS Initiative and the Satoyama Initiative place emphasis on the importance of human involvement in the nature upon which primary industrial production is dependent. In contrast to the common impression that agriculture does more harm than good to the environment, agriculture can contribute to maintaining the health of ecosystems and conserve biodiversity, if practiced in a sustainable manner. For instance, in an effort to help the restoration of wild Japanese crested ibises (Nipponia nippon), farmers on Sado Island, Japan adopted eco-friendly agricultural practices on an island-wide scale in 2008. This included reducing chemical fertilizers by half and developing biotopes around the paddy fields to create feeding habitats so that captive-bred endangered crested ibises could be released into the wild. 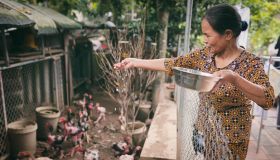 Their efforts have contributed to the successful release into the wild of more than 200 captive-bred crested ibises to date and earned them a higher income for their rice sold under the “Crested Ibis Brand Rice Certification System”. This basic recognition of harmonious human–nature relationships reveals other commonalities between GIAHS Initiative and the Satoyama Initiative: conserving landscapes for food production and sustaining biodiversity, enhancing cultural and spiritual benefits, creating resilient ecosystems and thereby contributing to the livelihood security and well-being of local communities. Another similarity is their recognition of the dynamic nature of different types of landscapes. Humans and nature can have different forms of harmonious relationships depending on time and location, as reflected in the term “living heritage” referred to in the dynamic conservation GIAHS sites and the Satoyama Initiative’s approach of integrating traditional ecological knowledge and modern science to promote innovative management. “Cream of the crop” or “the more-the-merrier”? Nonetheless, the initiatives take a different approach in achieving their objectives. The GIAHS Initiative identifies outstanding agricultural systems that should be passed on to future generations to safeguard valuable genetic resources and traditional practices that can serve as references for other areas should their conventional farming be disrupted by drastic changes in the future. Thus, selection is made under specific criteria such as food security and livelihood, biodiversity, traditional knowledge, agriculture and aesthetically remarkable landscapes. The GIAHS Initiative places emphasis on the economic activity that can be gained from protecting livelihoods through sustainable agricultural production. The exclusive status of GIAHS recognition allows selected GIAHS sites to leverage their status for marketing and branding of value-added agricultural products, while also promoting tourism and bringing pride and self-confidence. On the other hand, the Satoyama Initiative takes an inclusive approach to promote its concept and activities as widely as possible, providing relatively easier access to its membership. It accepts organisations having the same aspiration of maintaining a society in harmony with nature — the vision of the Satoyama Initiative — but not necessarily working in the areas of outstanding value. IPSI envisions that bigger steps are achieved through the combined large and small efforts made in different places. 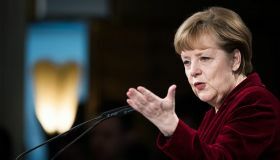 Membership is diverse also in terms of work sector, expertise and methodology. 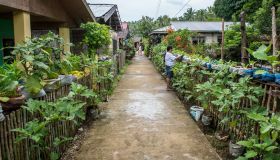 For example, many IPSI members work on the ground with local communities while others contribute through policymaking, awareness-raising and financial support. The Initiative’s concept can be incorporated in members’ respective activities. Differing approaches also explain the contrasting interpretation of membership to each initiative. The GIAHS Initiative is managed as a site/system-based initiative. While there are different types of entities involved in each GIAHS site, the basic unit of designation is the agri-cultural heritage system, and GIAHS membership is mainly appointed to municipal government bodies so as to secure commitment and assign responsibilities of GIAHS conservation. On the other hand, IPSI members are organisations that implement their own activities or in collaboration with other organisations. Types of IPSI organisations include national and local governments, non-governmental organisations, academic institutions, indigenous and local communities, private companies, etc. While collaboration is useful within the same geographic regions, dynamic and flexible collaborations among members can be also promoted irrespective of locations of their activities, complementing each member’s expertise and resources, and creating synergies. Integrating the concepts of these two initiatives, UNU-IAS has initiated the three-year research project Monitoring and Evaluation Method for Biodiversity Conservation and Sustainable Use through Multi-stakeholders Governance, to develop a comprehensive results-oriented method for periodic monitoring and evaluation of activities to conserve biodiversity and for its sustainable use in SEPLS in Japan. Although the two initiatives sprung from the differing backgrounds of agriculture and biodiversity, which tend to be understood as contradictory, they both stand on the basic premise that agriculture and environment are interrelated and essential to one another. Through rebuilding and maintaining resilient and multi-functional landscapes, they commonly aspire to achieve sustainable development. 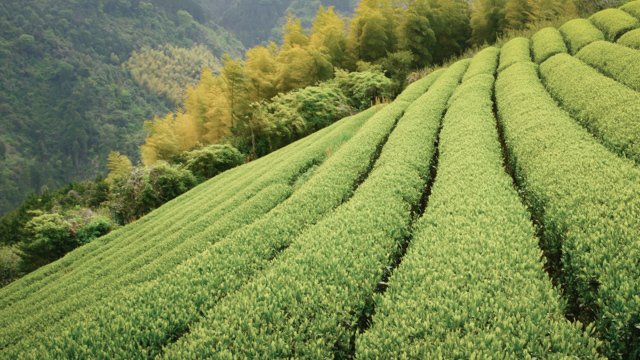 For this purpose, both initiatives build networks to expand understanding of the importance of human interactions with nature in the sustainable management of socio-ecological production landscapes. Although they use different approaches, collectively they cast a comprehensive web comprising stakeholders from various organisations and institutions, private and public, and bring them together to promote the conservation of environment and the valuable traditional agricultural systems of their respective landscapes and seascapes. Conserving Resilient and Multifunctional Sustainable Landscapes by Kaoru Ichikawa and Evonne Yiu is licensed under a Creative Commons Attribution-NonCommercial-ShareAlike 4.0 International License.